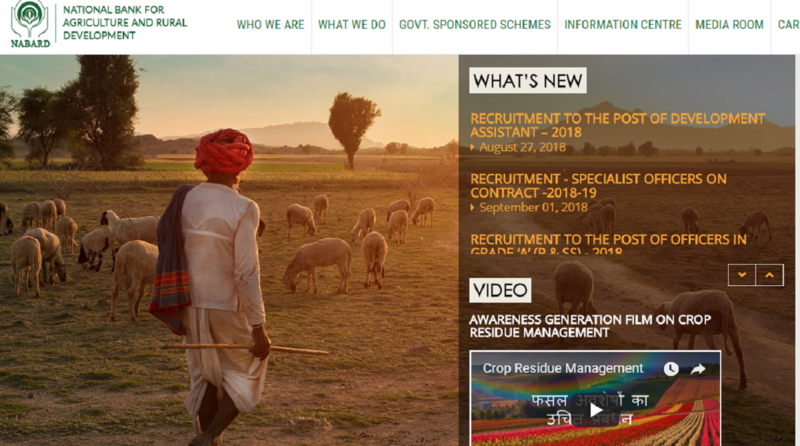 NABARD Recruitment 2018: The National Bank for Agriculture and Rural Development (NABARD) has invited applications for the post of Senior Project Advisor and Communication Professionals. The last date for candidates to apply for the above posts is September 12. Senior Project Advisor: For this post, candidates need to possess an MBA/MTech degree from a recognised institute/university. The candidates need to also possess 15 to 20 years of working experience in technology-enabled financial inclusion. Communication professionals: For this post, the candidate should possess a bachelor’s degree in Mass Communication from a recognised university/institute. The candidate should also possess two years of experience in relevant field. The candidates who are interested in applying should not exceed the age limit of 63 years. However, the candidates from the reserved category will also get an age relaxation according to the government norms. 1. Selection process: The candidates will be selected on the basis of an interview round. 2. The application fee for general category candidates is Rs 450. The candidates from all other categories will be exempted to pay an application fee. 3. The candidates can apply for the above post latest by September 12, 2018.